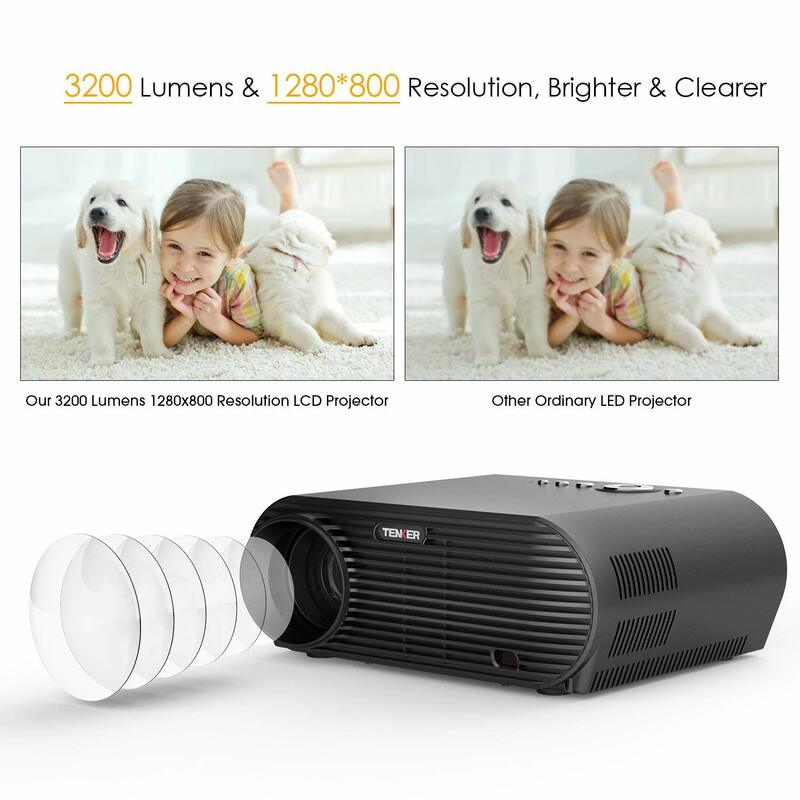 Tenker video projector is considered much brighter and clearer than normal LED projectors as it is a 3200 lux and 1280 x 800 resolution LCD projector. 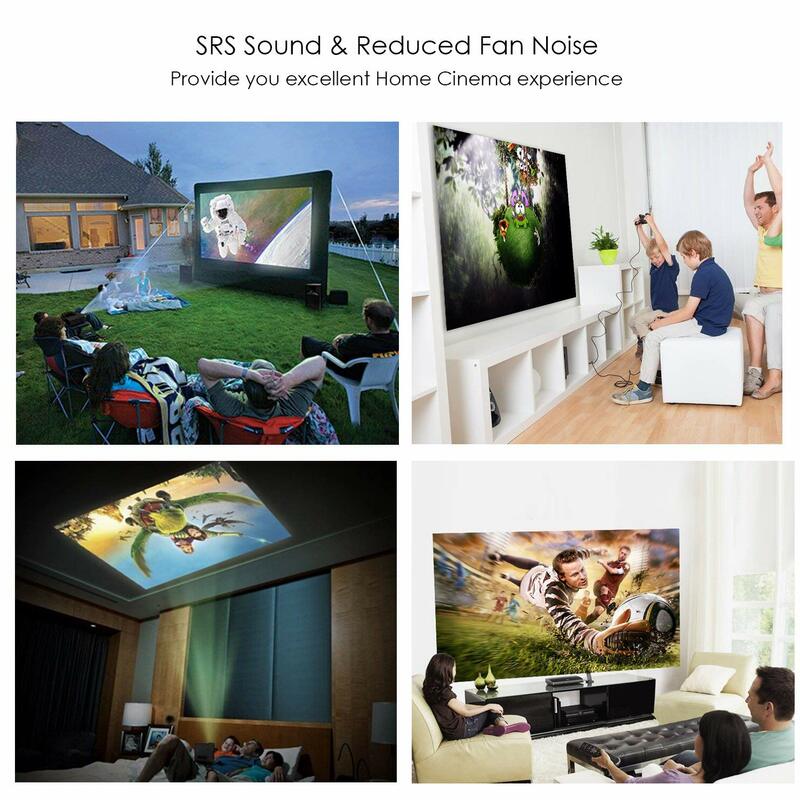 It delivers a great home cinema experience. 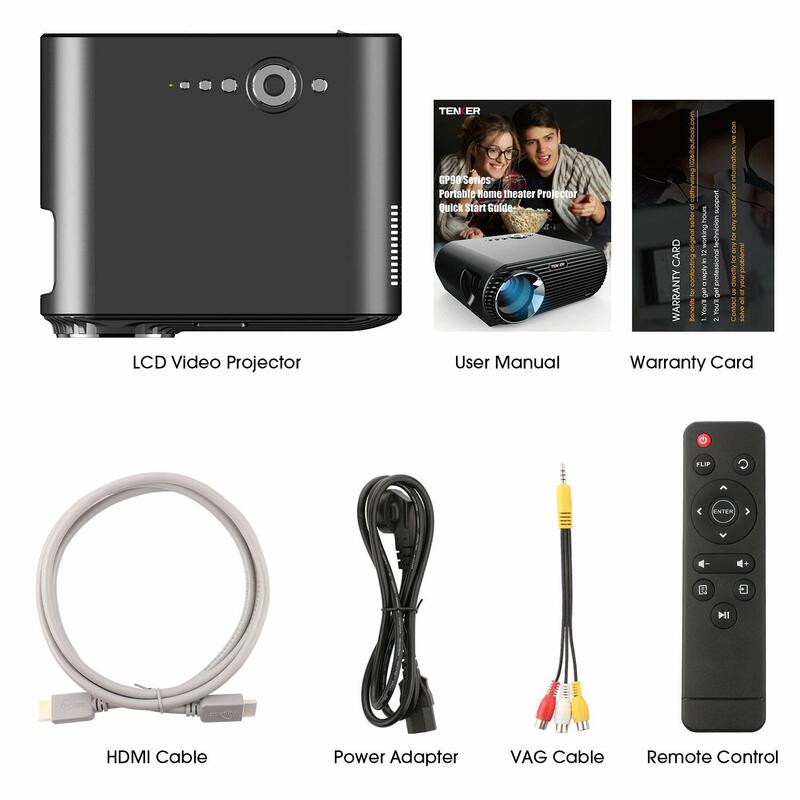 It is perfect for home entertainment in dark, it is not recommended for PPT or business presentation. 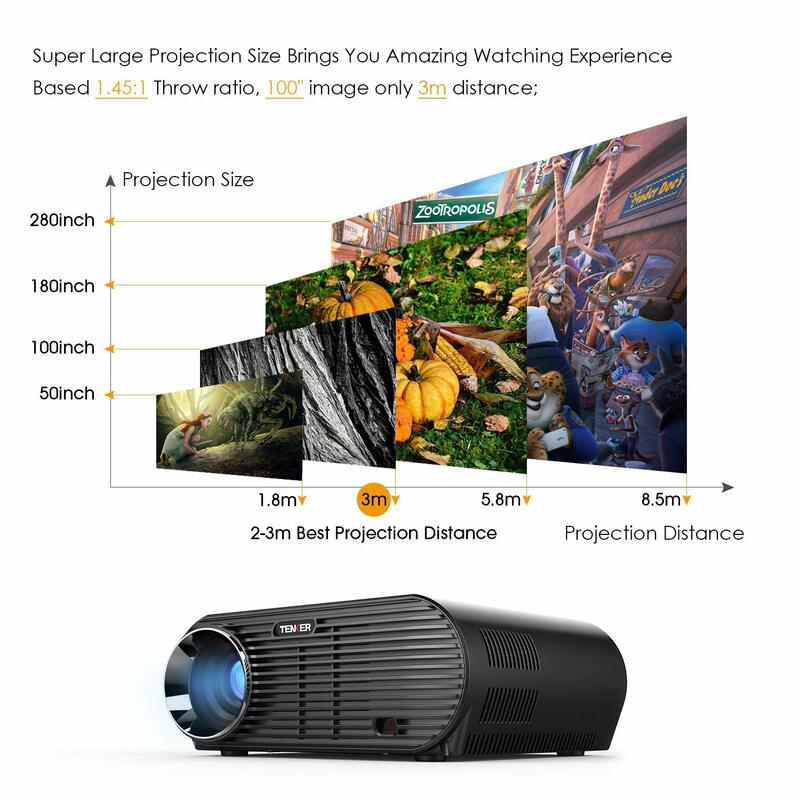 This Tenker LCD video projector is perfect home theater projector with SRS soud and 35 to 280 inches projection size and 1.2 to 8.5 meter projection distance making it an amazing private home theater without any doubts. 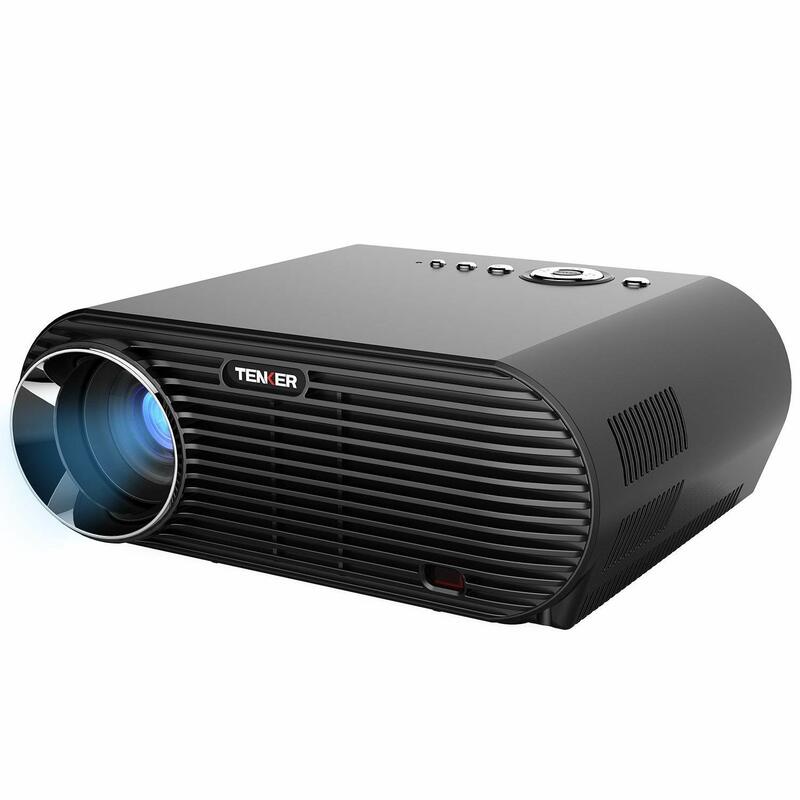 However, the best projection distance is about 2.5 to 4 meters and 80 to 120 inches projection size. 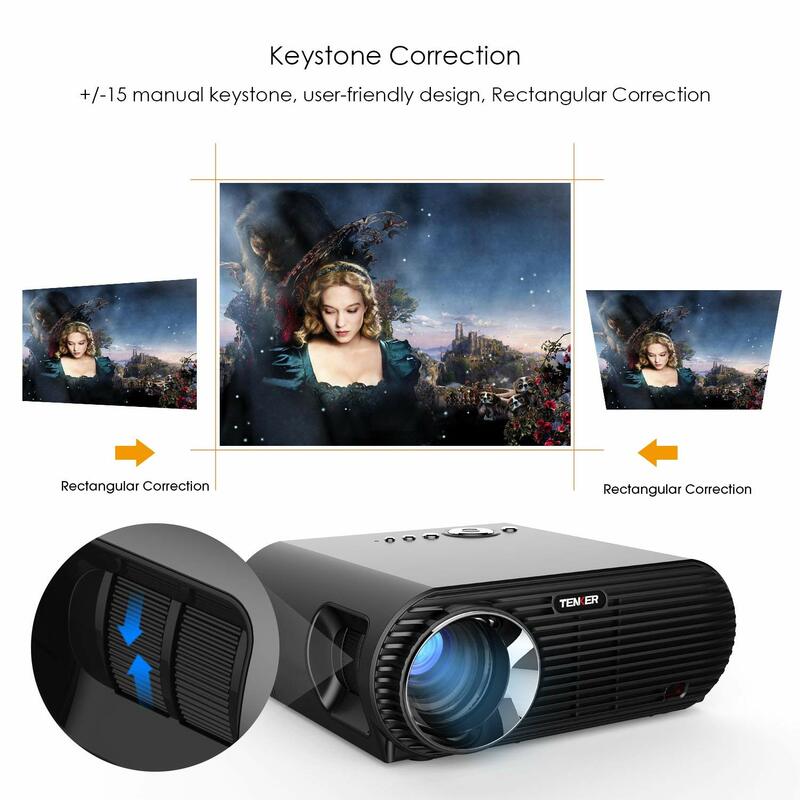 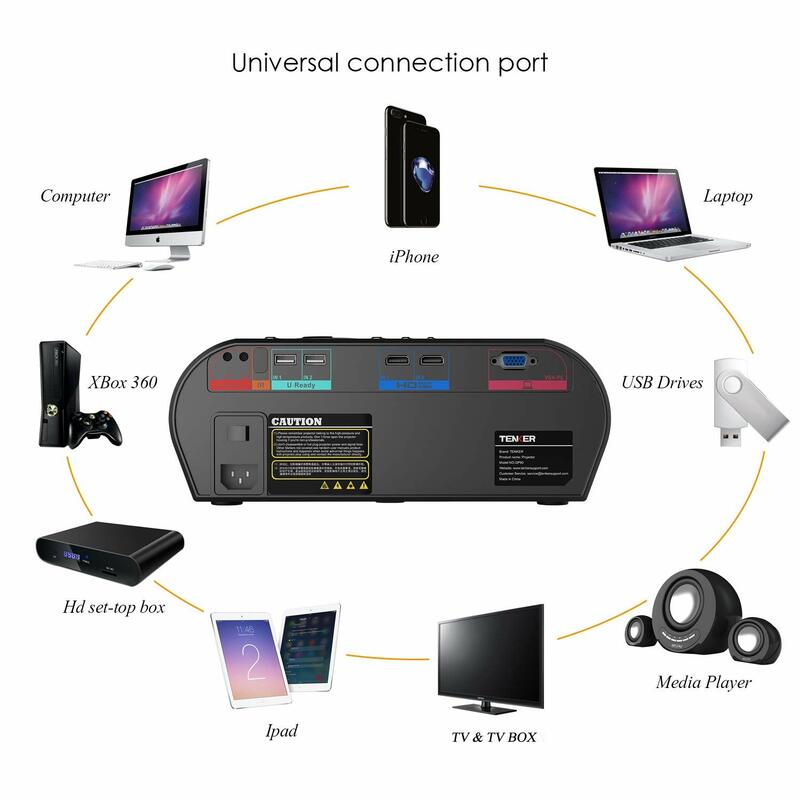 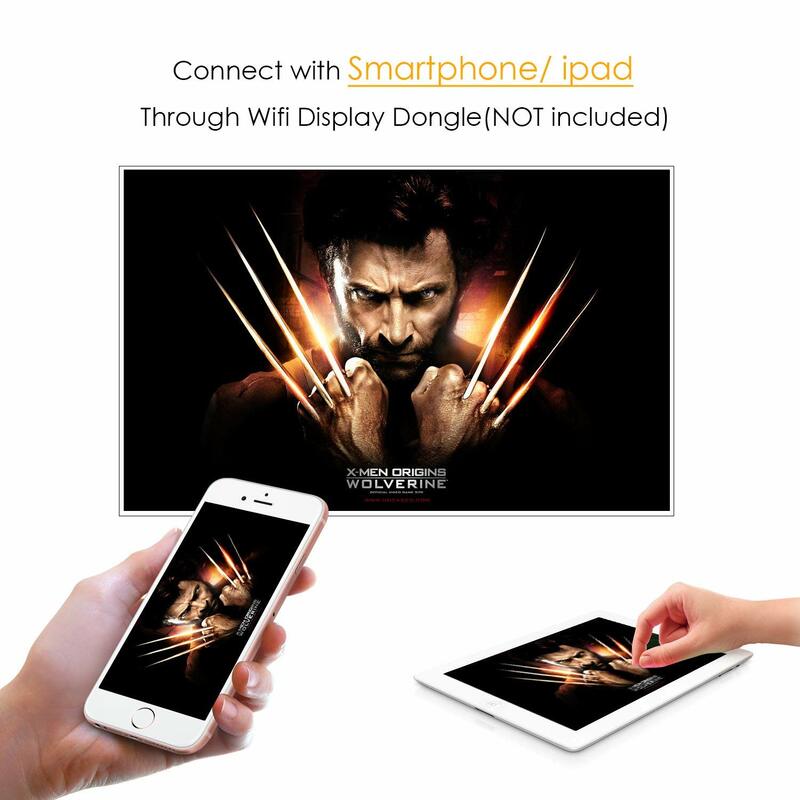 Previous Article AEHR Mini Android Smart Projector Pico Portable DLP Wifi Wireless Home Cinema Projector, Big Screen Support Full HD 1080P Flash/USB/HDMI/Bluetooth/Remote Control for Home Outdoor Backyard Cinema.